There’s plenty to like in the above title, ski resorts like Courchevel are great, fireworks in a ski resort are even better so a whole firework festival in a ski resort is a supreme idea. We’re delighted to say our very own resort of Courchevel will be playing host to a series of four of what they’re calling ‘Black Pearl’ themed fireworks displays as part of the International Festival of Pyrotechnic Arts. This will be taking place between the 14th February and 7th March 2019. These are some serious fireworks folks and will be invoking the swashbuckling world of Pirates of the Caribbean in a nightly display from different teams. The public will be given the chance to vote via Facebook. The displays will be live streamed on Facebook, from the official tourism page and the team with the most votes will receive the Public Prize. On the 7th March there’ll be closing the night with lightshows, music and of course the closing fireworks which will apparently be something special indeed. This isn’t the first time Courchevel has hosted such an event. Check out the video from the 2014 Festival international d’Art Pyrotechnique. 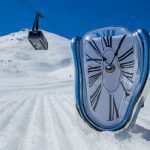 What an interesting season it is to visit Courchevel, these fireworks will coincide with the Dali art exhibition in Courchevel allowing some lucky guests to enjoy these additional wonders both by day and night.